Using Internet for promoting businesses has become a trend these days. Social networking sites have also been the effective tools promoting online advertising. eMarketer, a research firm, reports that the online display ad revenues of Facebook in the US are estimated to grow to $2.19 billion by 80.9%. A large number of people spend a large amount of time on Facebook. This favors an increased chance of online display ad impressions, especially for its unique form of banners. Facebook is estimated to grab the first position in terms of online display ad revenue pushing back the Yahoo Inc.
Facebook accounts for about 17.7% of the online display ad market share in 2011 and is estimated to rise to 19.4% in 2012. Apart from Facebook, the net online display ad revenue growth of Google, Microsoft, Yahoo! and AOL is estimated to be 34.4%, 18.7%, 13.6% and 10.5% respectively in 2011. The data given by the eMarketer of the US online display ad revenues is based on the online display ads which include banner ads, sponsorships, rich media and video. Furthermore, Yahoo! and Google are expected to face a growth of 12.5% and 12.3% respectively in 2012. Three factors are considered to promote the display revenue growth of Google. They include large advertisers who are Google customers, brand marketers looking to Youtube for widening their video advertising reach, and the range of SMBs who have relived on search for years but are looking to expand their reach. 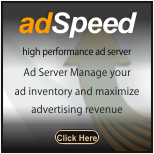 However, as of 2011, Facebook stands first in the online display advertising market in the US.